It just happens to be a swap I received at Convention from our #1 Sales Person in the US last year - Angie Juda!! It kind of feels like an honor to be making her card!! (and that's what I told the ladies at our meeting tonight!). We start this card with a Whisper White card base, then added a layer of Tempting Turquoise embossed with the Arrows Embossing folder. Next, we added a layer of the Brights Designer Series Paper stack (in Tempting Turquoise). 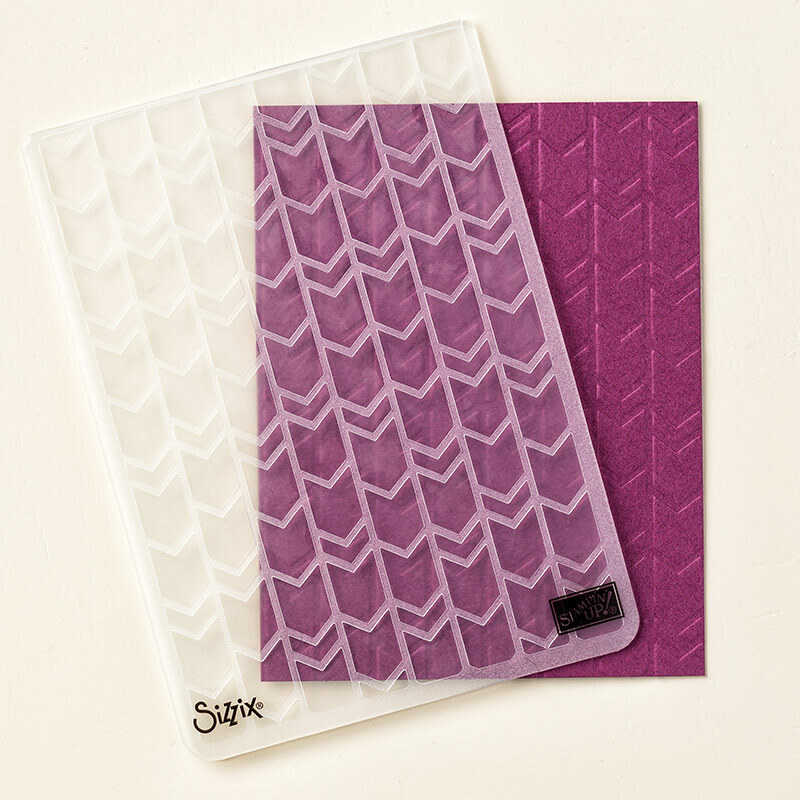 I love how the arrow and chevron print from the Brights Designer Series Paper Stack work so well together! Then, we stamped the "Make Today Ridiculously Amazing" sentiment (and that cute cake!) from the Amazing Birthday Stamp set in Tempting Turquoise ink. The cake was punched out using the 1 1/4" circle punch. Finally, we added a couple of Rhinestones to either side of the word "Amazing" for our finishing touch. This was another swap card I received at Convention - this time from Selene Kempton. I just love that I've been able to use a couple of my swap card ideas within the first week of returning from convention! The investment was definitely worth it! I'd love for you to join us at our next Team Meeting on Tuesday, August 19 at 7pm. Our meetings will meet the 3rd Tuesday of every month at 7pm. All are welcome to attend - regardless of whether you are currently on our team, thinking about purchasing the starter kit and becoming a member of our team or just want to have a great night out with the gals to stamp, visit and hear about what's happening with Stampin' Up! Just email me at amy.frillici@yahoo.com to RSVP for next month's meeting on Tuesday, August 19 at 7pm! !